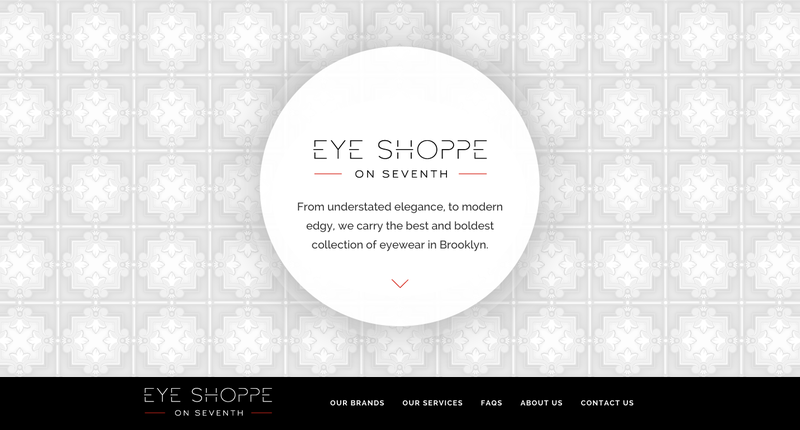 The Eye Shoppe has been on Seventh Ave in Park Slope since 1991, we wanted to show a little bit of that history in the website design, so we borrowed inspiration from their beautiful tin ceiling. What a fantastic group…..they designed our business website and logo and I couldn’t be happier. They worked with me personally to get it right, and it came out great! From the initial idea to inception they were a call away, and even helped me with marketing ideas! I totally recommend them! Thanks guys! The images below show the process we went through to develop their new identity and logo. Here’s a few of the other directions we explored: French script, clean modern, and quirky/bold.